The third practice session at the Mexican Grand Prix had very limited running because of tricky conditions. Max Verstappen topped the time charts, taking a hatrick of Free Practice sessions while Mercedes hit trouble with Bottas’ car. But it was something from the McLaren team that got everyone’s attention. While the rain had stopped an hour before the session, the damp conditions didn’t allow for much running. Daniel Ricciardo explained: “These are the worst conditions. It’s too dry for inters, we’ll just burn ’em up and we might need them for qualifying. Considering how frustrated Fernando Alonso is with his current situation in Formula One, it was really a funny comment to pass on. A little humour never hurt anybody. 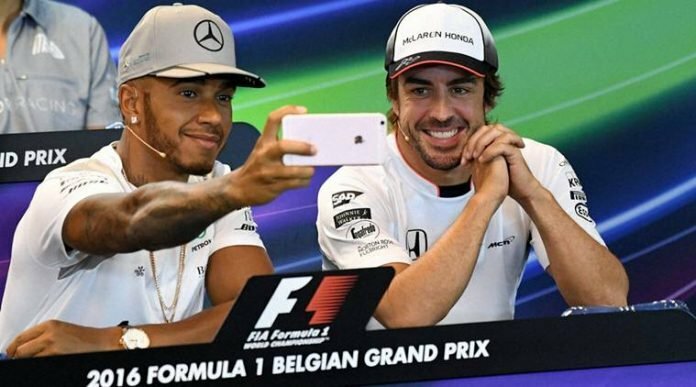 Meanwhile Lewis Hamilton launched an attack on FIA for not providing the teams with extra compounds. He went on to his Instagram page to apologise to the fans as well. “I’m sorry to all the fans sitting out there and there has been no running yet. The FIA/Pirelli won’t the give the teams an extra set of tyres to run in this condition so we are forced to just sit tight and save the tyres we have in case rain comes in Qualifying and the Race”, he wrote. Following Verstappen, were Hamilton and Vettel Daniel Ricciardo, for whom the Mexican Grand Prix is looking to be the final race to bring some last hurray with the Red Bull team, was fourth. Valtteri Bottas suffered a hydraulics failure but is set to avoid engine penalties despite an engine change.